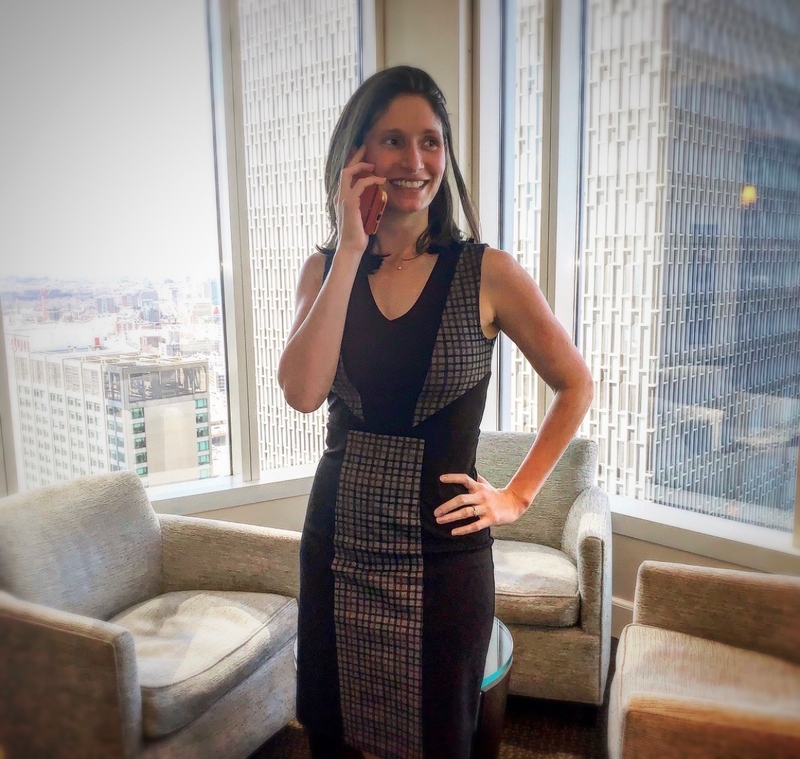 Full time mom & full time corporate attorney, this LT loyalist firmly believes you don’t have to choose between a successful career and a happy personal life. From the art of juggling to the advice she’d have given her 20-year-old self, read on to find out how Julie-Anne Lutfi does it all. Your new book Diapers, Date Nights and Deadlines sums up a lot of women’s lives! What made you write it? There are three answers to this question. First, a lot of people around me ask how I am able to be a mother to two very young children, claim I am a “traditional” wife, but still work days, nights and weekends. I wanted to write this book to show them what I do to make this lifestyle work for me and my family, and that it is hard (but rewarding), messy (but still very organized), exhausting (no buts here) and that it requires a lot of sacrifice. I just wanted to offer one perspective, my perspective, on how being a homemaker while climbing the corporate ladder are not mutually exclusive goals. Second, since I now have babies to take care of, I don’t have as much time as I used to have pre-children to meet with existing or prospective clients to sell my services. I can’t attend as many conferences and evening events as I used to. I thought the book would be a cool way to put myself out there, and to offer it all up — personal and professional life. If someone is considering hiring me, after spending only 2 or 3 hours reading the book, they will know what they’re getting. Finally, I thought it would be a nice way to give my law firm a nice shout out for being so supportive of my decision to be a full time mom and a full time employee. They have allowed me to take two maternity leaves in 2.5 years, they let me work as little or as much as I wanted during pregnancy, maternity leave, upon my return, and I’ve never felt penalized for it. It’s easy to criticize big law firms when they screw something up, but credit should be given when they do something right. What’s the biggest challenge you faced balancing career & personal life? Dealing with motherly guilt. No matter how dedicated I am to my children and to my work, I constantly have to battle the guilty feeling that comes with not being able to be entirely and completely dedicated to one or the other. It’s okay to relax once in a while. How has becoming a mom changed your life and style? Since I am constantly busy, I have close to little time for myself. If I do have any time for myself, I feel too guilty taking it, so I generally don’t. I have had to learn to be okay with wearing dirty clothes, washing my hair less often than I should, not shaping my eyebrows, not wearing make-up, etc. I have learned to get pleasure out of the little things in my day-to-day life (e.g., a child cooperating at dinner, a glass of wine while working, a kind email from a co-worker, a nice dinner cooked by my husband, etc.). If you had an extra hour in the day, how would you like to spend it? I would KILL to have one guilt-free hour to run every day. I used to run about 10 miles a day, before work (pre-children). I don’t think I’ve been able to run 3 miles in a row since my son was born, 3 years ago. Terrible. I have absolutely zero sense of style! How does Le Tote fit into your life? Le Tote has saved my life. I used to wear the same boring clothes to work. I hate shopping so much that my MO was the following: I would go to H&M twice a year, spend $500 on a huge pile of clothes and I would wear those for 6 months. Repeat for the following 6 months. My husband was never impressed with my outfits, and he constantly asked (ahem, begged) me to go shopping for new and better clothes. Le Tote allows me to have a fresh wardrobe ALL THE TIME, I get compliments all the time, and their selections are perfect. The subscription model allows me to plan the clothes I will receive based on the meetings I have the following week — it truly has been a life-changing experience (and my husband loves it as much as I do!). And what do you love best about the service? Le Tote constantly adds new work-wear selections. Le Tote is so punctual and its customer service is incredibly responsive. I love that I am able to buy anything that I want to keep (and the discounts are great). I love not having to wash anything! Somehow, everything fits me and my body shape perfectly. I’m a fairly confident person naturally (saying this in the least arrogant way possible) — but frankly, if you’re in my line of work, you have to be, otherwise you’ll get crushed — but the support I receive from my husband is, by far, what allows me to wake up with a smile and keep going every day. He supports me when I fail the children, or when I fail at work, and he praises me when I succeed. I couldn’t do anything without him by my side, picking up my slack, and making sure our lives run smoothly. Having him on my team makes me feel like nothing is impossible. Finally, how do you do it all? With MASSIVE amounts of wine! And also the support of family, always willing to help take care of the children or do anything else we need them to do, the support of my colleagues, with whom I am a team, with the most real sense of the word, and the love and passion for everything I do.